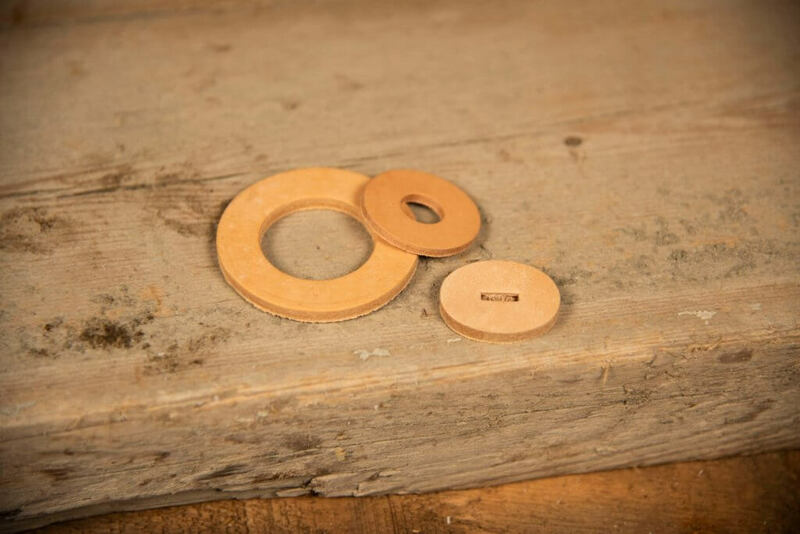 Our Leather Washers and Knife Handle Washers are made from vegetable oak tanned that are 100% domestic top grain bends. Available in thickness ranging from 1/16” to ¼”. Each knife handle washer is made to order. We make washers for major USA knife companies.